Cable Connexions is a company devoted to providing professional and personalized service to our clients. Our mission is to give users the visual and audio means to enjoy, relax, and use sound and video in the highest quality manner and user friendly way. And to provide continual service to the user that demonstrates our commitment to their ongoing satisfaction. Do you need to protect your home and family with a security system? Are you looking for a surround sound home theater for your home? 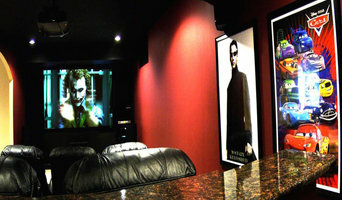 How about a plasma TV to enjoy home movies or the big game? Cable Connexions is your solution to affordable security and entertainment systems. We install easy to use technology in your home; provide home automation and lighting controls, structured wiring, and home networking. Contact us to see the options available for your home. At MADDOX we strive to redefine personalized service to meet and exceed our clients expectations. Specializing in Media Rooms, Home Audio, and Home Automation since 2006 our knowledgeable team is ready to bring your ideas to life. We look forward to making your in home entertainment experience unique and enjoyable for everyone. Every day, technology is becoming a bigger part of our lives. From the invention of the smartphone to today's self-driving cars, technology continues to evolve and be ingrained into every facet our of life. The home is no different. Technology is rapidly changing and will continue to affect our lives within our homes. But how do you decide what technologies to put into your home? Every home is different, and every family is different. We at Urban Grid, like to look at ourselves as problem solvers and creative thinkers. 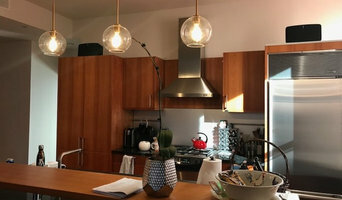 We will provide you with a connected home that is custom built for you and your family. We have an experienced design team on staff that will provide you with custom solutions that will enhance your life. When you make an investment into your home with us, you are not only a customer but a partner. 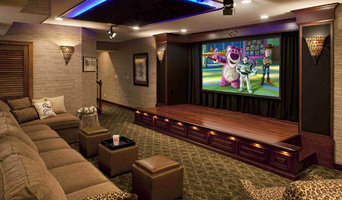 From award winning home theatres to complete connected homes, call us today to begin working with us, we look forward to it! Find a home media designer on Houzz. Narrow your search in the Professionals section of the website to Pike Creek Valley, DE home media designers. You can also look through Pike Creek Valley, DE photos by style to find a room you like, then contact the professional who designed it.